One of our beautiful belt accessories to give your wedding dress a unique look. Hand beaded belt with wave design. 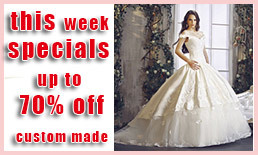 Please Note: Belts can only be ordered with a wedding dress and not as a single item.